Looking for a book about Spain’s culture? The A to Z of Spanish Culture might be it! The A to Z of Spanish Culture. Going to Spain for a holiday this summer? Interested in finding out what Spanish society is like? How its history, art and politics have made the country what it is today? Or maybe you are studying Spanish and want to place some of your vocabulary into context. Pilar Ortí was born and bred in Spain. She grew up in a society trying to figure out how to adapt to its new found freedom and how best to join the rest of Europe. Having lived in London now for over twenty years (time flies! ), Pilar has written this “A to Z of Spanish Culture” with plenty of perspective, a bit of nostalgia and above all, a desire to demystify a country that is still represented abroad by toros and flamenco. This light book about Spain is divided into different chapters, each headed by a Spanish word that opens up a whole aspect of Spanish culture: Spain’s history, its society, traditions, art, gastronomy or language. As you read this book, you will have a much better idea of what Spain is like today. From grape-eating on New Year’s Eve to the re-enactment of 13th century battles; from the failed military coup in the 80’s to the recent fall from grace of the King; from the origin of the fideúa (the pasta-based version of paella) to the origin of the popular tapas, The A to Z of Spanish Culture will get you closer to Spain today. When you hear the word España, you will never think of flamenco dancers again, unless you picture an uncomfortable child dressed up in a sevillana outfit, looking at the camera, thinking: Why did you put me in this dress? “El libro es una herramienta indispensable para acercarse a la cultura y a la idiosincrasia española. La autora hace un repaso por diversos hitos culturales, sociales, geográficos, gastronómicos e históricos que revelan mucho de la conciencia de un país y de una sociedad que se encuentra a medio camino todavía entre la tradición y la modernidad. “The book is an essential tool to get closer to Spanish idiosyncrasy and culture. The author presents various cultural, social, geographical, gastronomical and historical aspects which reveal much about the conscience of a country and society still half-way between tradition and modernity. Prima, there are many things in here I didn’t know about. Guay. Pilar Orti lives in London. She runs the learning company Unusual Connections, specialising in leadership development, team facilitation and wellbeing. You can find out more about her other books from her blog site, www.pilarortigarces.co.uk and you can contact her via the contact form on this site. 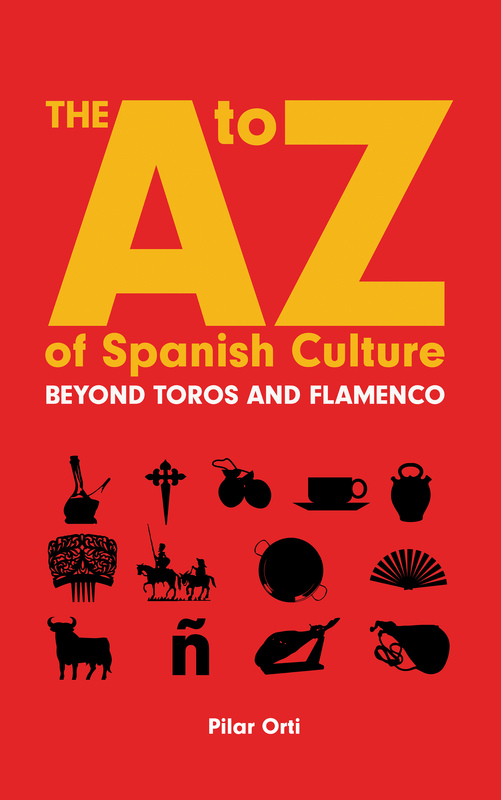 If you are planning to travel to Spain, you can buy The A to Z of Spanish Culture from Amazon for £5.99 or you can buy the Kindle version for £2.99 by following this link. The book is also available from all Amazon European and U.S. stores.